With a particular focus on youth here with some form of precarious immigration status, this is the first of two roundtables to address the inequitable experiences of newcomer youth in Ontario High Schools. 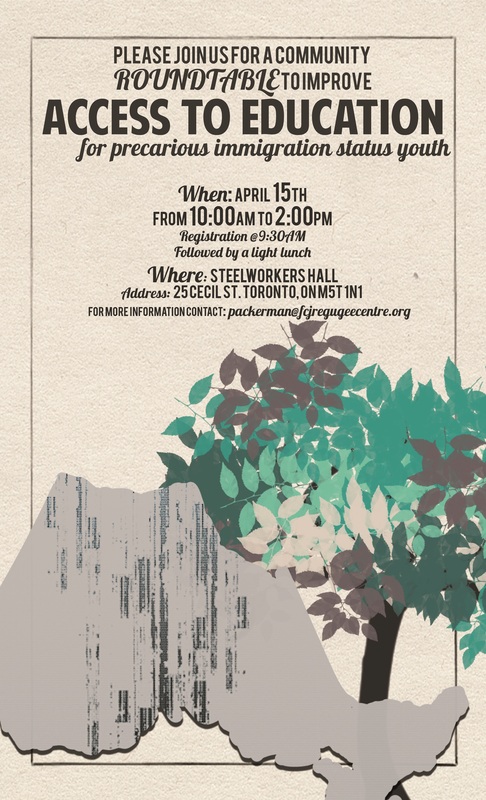 This discussion will build on the Uprooted Education Project – a year-long participatory research project undertaken by members of the FCJ Youth Network, resulting in a The Uprooted Education 2016 Ontario Report . Please join us for a short panel presentation, followed by a day of lively discussion, complimented by light refreshments and some artistic performances.